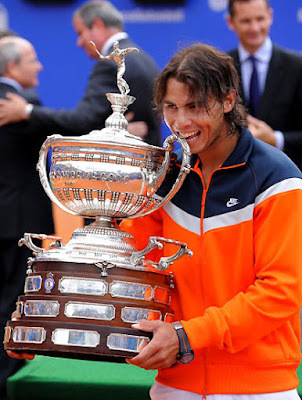 The official website of the tournament, www.barcelonaopenbancsabadell.com, will show all matches live that are televised on Televisión Española, host broadcaster of the 59th Trofeo Conde de Godó edition. Thanks to an agreement with LiveStreaming, the tournament organization will offer live action on the website for the time in history. Also, tennis fans can download the free mobile phone application bcn open bs to watch matches on their iPhone. Browsers only need to enter the website to follow live matches and live results from 18 to 24 April. The number of users of the official tournament has highly increased during the past few weeks. Over the past seven days 16,978 browsers have visited the website, which are almost 200% more than the week before.